The 2017 Chapter Website of the Year was accepted by Ryan Hubbs, former president of the Houston Chapter. The Houston Chapter’s website recently went through a significant redesign. They listened to their members and their site now provides a platform that streamlines the ability to locate relevant information and interact with the chapter safely and securely. The Houston ACFE Chapter wins the 2015 ACFE Newsletter of the Year Award. The award was presented to Houston ACFE Publications Director Shawn Pickens by ACFE President Jim Ratley. The 2015 Chapter Newsletter of the Year award was accepted by Shawn Pickens, CFE, Publications Director of the Houston Area Chapter. The Houston Area Chapter’s newsletter highlights chapter programs and members, links readers with resources to help them combat fraud and helps chapter members stay connected and engaged. The newsletter includes sections with community news, a member spotlight and a kudos section, all of which feature the activities and members of the local community. An “ask the expert” section in the newsletter is written by a luminary covering a relevant fraud-fighting topic. The newsletter also brings information about the Ritchie-Jennings Memorial Scholarship and information on ACFE events to members. The Houston ACFE Chapter wins the 2014 ACFE Chapter of the Year Award. 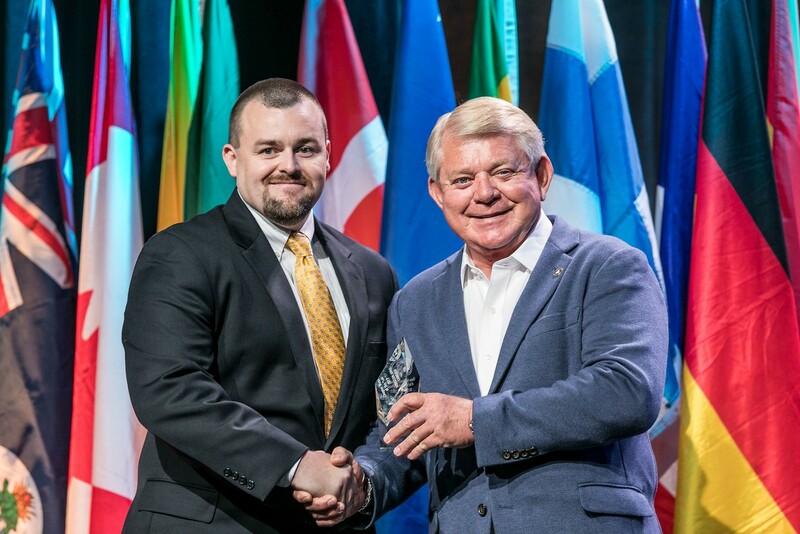 The award was presented to Houston ACFE President Ryan C. Hubbs by ACFE President Jim Ratley. 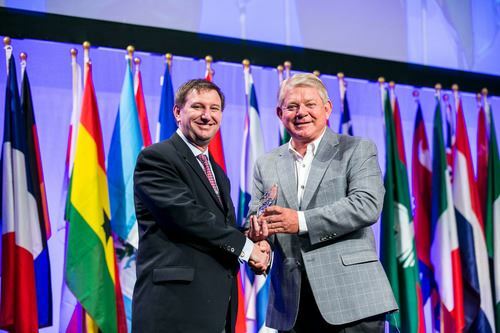 At the 25th Annual ACFE Global Fraud Conference in San Antonio, the Houston ACFE Chapter was recognized in front of 3000 anti-fraud professionals from around the world as the top ACFE Chapter in the world in 2014. The award in presented to an active chapter in good standing that provides timely and high-quality anti-fraud training and networking opportunities for its members and actively promotes the ACFE and the CFE credential in its local community. This is an oustanding achievement for the Houston ACFE Chapter. The award is only presented to a single chapter each year. With over 180 chapters worldwide, the odds of a chapter receiving the award and recognition in a single lifetime is remote at best. 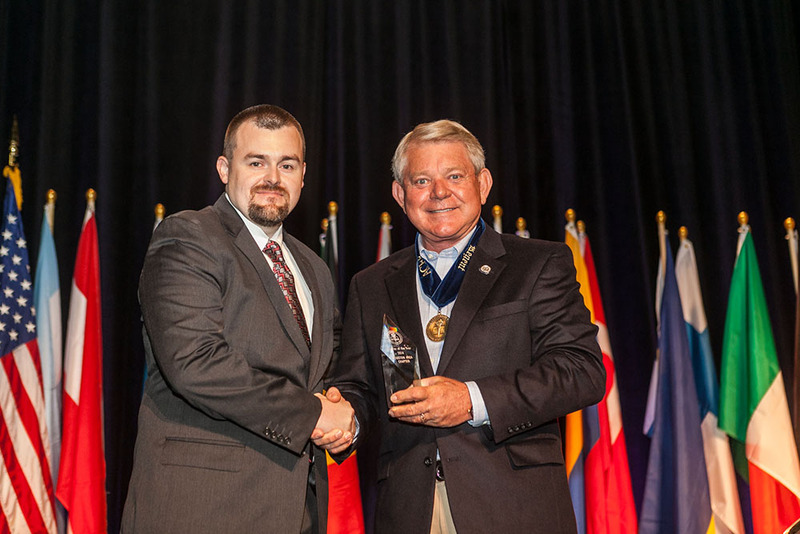 Houston ACFE President Ryan C. Hubbs was on hand at the conference to receive the award on behalf of the chapter. ACFE President Jim Ratley presented the award. In response to accepting the award on behalf of the Chapter, Mr. Hubbs responded "I am excited that the Houston ACFE Chapter and its members were recognized by the ACFE. Our members make the chapter, support our training, and contribute to the community. Without their involvement, the chapter wouldn't be in a position to receive this award." Over 130 Houstonians attended the conference and over 40 Houston ACFE Members took advantage of the Houston Chapter Conference Discount Program which resulted in nearly $10,000 in savings to members who attended the conference. It was a great showing by Houston at the conference.